Boehringer Ingelheim has announced bold plans to bring a generation of new medicines to market in the coming years. The family-owned German pharma uses its annual results conference as an opportunity to outline its plans, and this year’s event focused on its pipeline of new drugs. The company said it aims to get 15 new medicines approved by 2025 in immunology, CNS, oncology, respiratory and cardiometabolic diseases. Boehringer said the highlight of the pipeline is a first-in-class IL-36 receptor inhibitor, which it said has the potential to transform standard of care for patients with immune related diseases. BI 655130, a new biological entity, has already shown “remarkable efficacy” in early clinical testing with a single dose in patients affected by generalised pustular psoriasis. Results support use in multiple inflammatory disease, according to Boehringer, and trials are underway in immune-mediated skin and intestine diseases including palmo-plantar pustulosis, ulcerative colitis, Crohn’s disease, and other chronic inflammatory conditions. Also in BI’s pipeline are combinations of immune-cell targeted therapies such as cancer vaccines, oncolytic viruses, and T-cell engagers, and combining a SMAC mimetic with BI’s own PD-1 checkpoint inhibitor, BI 754091. The company has 10 cancer cell projects in the clinic and is working on new drug candidates in pathways such as KRAS, WNT and p53, and aims for clinical trials for these in the next 12-24 months. Earlier this month BI struck a potential billion-dollar deal with OSE Immunotherapeutics to develop a new kind of checkpoint inhibitor cancer immunotherapy, OSE-172, an antibody targeting SIRP-alpha that calls in an attack from cancer-eating macrophages. In central nervous system BI has expanded its PDE9 inhibition research programmes to the prevention of relapse of schizophrenia, although earlier this year it axed development of a phase 2 Alzheimer’s drug. Nintedanib is a major component of BI’s efforts in fibrosis, under investigation in several fibrosing interstitial lung diseases. Already marketed in idiopathic pulmonary fibrosis, it is also being investigated in phase 3 trials in systematic sclerosis and progressive fibrosing ILD. BI is one of many pharmas chasing a drug for non-alcoholic steatohepatitis (NASH) andnhas an AOC3 inhibitor in phase 2 development in this potential blockbuster indication. It also wants to build on the success of Jardiance (empagliflozin), which has been shown to reduce risk of heart attacks and strokes in high-risk diabetes patients in the EMPA-REG trial. Phase 3 studies are under way, testing in patients with chronic kidney disease and those with chronic heart failure. 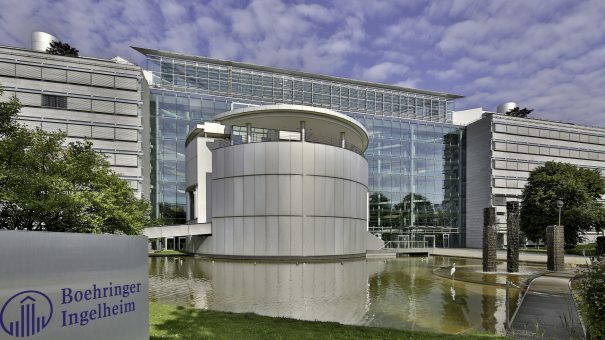 Boehringer posted a gain in operating income of 20.7% to 3.5 billion euros (3.06 billion pounds) last year, boosted by the purchase of Sanofi’s veterinary medicine unit. Full-year sales increased 13.9% to 18.1 billion euros, a gain of 4.4% excluding the effects of the Sanofi transaction, which was wrapped up at the beginning of 2017.